Sure, it’s a saying that’s as old as the hills, but it still remains true. 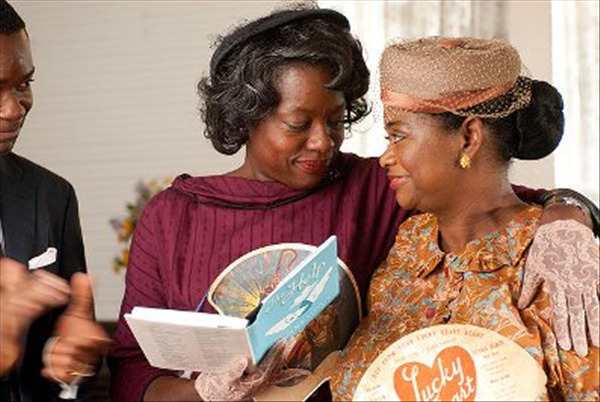 Especially in the case of DreamWorks Pictures’ newest message movie, The Help. Releasing wide in theaters on Wednesday, August 10, 2011, the star-studded film is based on the No. 1 New York Times best-selling book of the same name by first-time author Kathryn Stockett. But even before the novel that is now beloved by book clubs the world over had even hit the shelves, many hands were already at work to get this story of societal change during the civil rights era—by way of a young college graduate who secretly writes a tell-all book from the perspectives of black housekeepers working for white families in Jackson, Mississippi—to the big screen. Stockett, who grew up in Jackson and was inspired by her own upbringing and relationship with her family maid in the 1970s, took five years to write the novel. She began right after 9/11 while she was still living in New York City, where she had worked in magazine publishing and marketing for sixteen years. A work she calls “fiction, by and large,” The Help almost didn’t see the light of literary day as at one point Stockett was close to giving up. So she sent the unfinished manuscript to childhood friend Tate Taylor (Winter’s Bone), an actor, director and screenwriter now working in Hollywood, who still had a lot of southern sensibilities left in him. 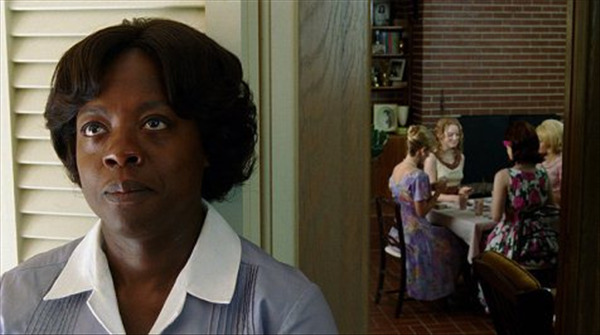 Set in the early 1960s, The Help draws back the curtain to show the complex relationships between black housekeepers and the white women who employ them to manage their households and raise their children. Barnathan became involved with helping the film project along with his 1492 Pictures producing partner Chris Columbus (Percy Jackson & The Olympians: The Lightning Thief), who also worked with Brunson Green, a film producer and another longtime friend of Stockett’s and Taylor’s who is also a Jackson native. Green knew that he and Taylor had to find the right partners to get the film made, so that the story would stay true to its roots and translate well from page to screen. Taylor first asked Columbus, who he had known for some time, to read the book. “I thought, ‘I don’t know if I want to read this,’” Columbus says remembering when he first got the story in his hands. “So I gave it to my wife who read it over the weekend and said, ‘You guys should really be making this a movie.’ So I read it on that Monday, and that was the point where it turned around for me. “Tate was obsessed with making it his first big studio movie, and so when he turned in the script, we brought it to a lot of places and there was a bit of nervousness,” Columbus admits. “Tate is a first-time director, so I have to hand it to DreamWorks for supporting Tate on this movie for his first [studio] movie. As the film begins, the audience is immersed in the Deep South circa 1962. Skeeter Phelan is a young college graduate, fresh out of Ole Miss, and has moved back home with her parents, Charlotte and Robert. She’s ready to put her journalism degree to good use. But who, what, when, where, why and how? Thankfully, she soon nabs a job writing a “Miss Myrna” cleaning hints column for the local newspaper. It’s not much, but her writing career looks like it’s finally getting started. Only problem is, however, what does a privileged young woman like Skeeter who’s always had “help” know about anything domestic? Not a whole lot. And so an enterprising Skeeter enlists the help of Aibileen Clark, her friend Elizabeth Leefolt’s maid, while playing bridge one day with the Junior League ladies at Elizabeth’s house. What is intended as advice-gathering meetings for Skeeter to get the household tips she needs soon turns into an unlikely friendship that breaks societal rules and leads to a secret book project—monitored by a major New York publishing company Skeeter has somehow managed to interest—that tells the true stories of black housekeepers working in white homes. As Aibileen, Skeeter’s reserved-yet-willing accomplice in the undercover book pursuit, Viola Davis (It’s Kind of a Funny Story) creates a screen presence that’s understated yet powerful in what one housekeeper is bravely willing to convey from her years of working and raising seventeen children for different employers in the white homes of Jackson. For those drawn to the flashier characters of the story, they won’t be disappointed in Aibileen’s best friend and fellow maid, Minny Jackson, who’s proud to be known as the best cook in Mississippi and is so vividly portrayed on-screen by Octavia Spencer (Dinner for Schmucks), another member in the Taylor/Stockett/Green friend-collective who has also been a part of the manuscript-to-movie saga since nearly day one. Spencer, who first met Taylor while both were production assistants on the film set of A Time to Kill in 1996, eventually moved to Los Angeles and roomed with Taylor for a while as she became close friends with Green and also Stockett, when the New York-based writer would come to the West Coast to visit. As Taylor began adapting the manuscript to a screenplay, Octavia would get a peek now and then of what her roommate was writing. So she offered her input and saw how she might play an even bigger role in the greater story. But to get into the headspace of such a strong-willed housekeeper who has lost so many jobs because of running her mouth, Spencer had to first take a closer look at her home life. Tough as nails as she is on the job, after hours Minny turns surprisingly more subservient, and even fearful, as she endures abuse at the hands of her husband. “Quite honestly, me being a modern-day woman, I kept asking myself why does she stay?” reveals Spencer. “She is such a strong woman, and until I did the research about spousal abuse and why women stay, I don’t think I could embrace the character. As Minny’s newest employer, Celia Foote is yet another societal outcast in a sea of southern women. A sweet and simpleminded bombshell from the sticks who’s newly married to Junior League president Hilly Holbrook’s ex-boyfriend, Celia is desperately trying to be a part of Jackson’s high society and accepted by the snooty ladies of the League. “It was so much fun to play her,” admits Jessica Chastain, who recently starred alongside Brad Pitt inTerrence Malick’s critically-acclaimed The Tree of Life. “When I read the script, I absolutely loved her loneliness, and the idea that this woman has so much love to give, but there’s really no one to accept it. But eventually, as Minny spends more and more time in Miss Celia’s home, the two see beyond the other’s very different exterior and focus on more important matters of the heart. It’s not long before Minny is coerced by Aibileen to share her own stories for Skeeter’s secret book project as well. Interview by interview, the maids get past their fear of the retaliation from white families that could affect their livelihoods—and even threaten their very lives—as women of color living in the uncertainty of the era. But “change begins with a whisper,” like the film’s tagline says. And these two housekeepers, and a whole host of other help who eventually agree to share from their experiences, find unity in courage and voice. Skeeter finds common ground with her new friends as well. But will she ever find acceptance in her other circles—family, society friends and otherwise? Described as “a bit of a misfit” by Stone, Skeeter defies convention by wanting to put marriage and family on hold for a little while so she can pursue her dream to be a writer. But she feels like an outsider in this place she used to call home. Everyone is scrutinizing her life choices, including her mother who just won’t let go of her own wishes for Skeeter—namely a husband and a home. The struggle between Charlotte and Skeeter runs parallel to the complex relationships between white women and their black housekeepers. And just as the help doesn’t truly engage with the employers, neither do Charlotte and Skeeter really know what’s going on in one another’s lives. While Skeeter is sneaking around writing her book, Charlotte is keeping secrets of her own—specifically the source of her chronic health problems and also what really happened years earlier when Constantine, the family maid who raised Skeeter and loved her as her own, was said to have quit and left the family household without even a goodbye. Skeeter has never understood why. But like her book, when it is finally published and released in the local bookstore, the truth eventually comes out. Even though Skeeter doesn’t name names in the book and “Anonymous” is listed as the author, it doesn’t take a rocket scientist to help Hilly and the other Junior League ladies figure out who is who as they read through the different maids’ stories in the “scandalous” new book everyone is talking about. As one of the most delicious characters in the film, Hilly is also just downright awful. And in all of her self-righteous socialite ways—including her efforts to introduce an outrageous “Home Help Sanitation Initiative” to encourage the building of separate, outdoor restrooms for the help as a “disease preventative measure” for white families —Skeeter’s big-haired "frenemy" has no idea how misguided or bigoted she truly is. Bryce Dallas Howard, daughter of filmmaker Ron Howard and most recently seen in Clint Eastwood’s Hereafter, takes Hilly over the edge in some of the film’s most hilarious (and heartbreaking) scenes and says she greatly relished playing the part. “I was on my way to the audition,” Howard remembers, “and was talking to [my mom] on the phone. 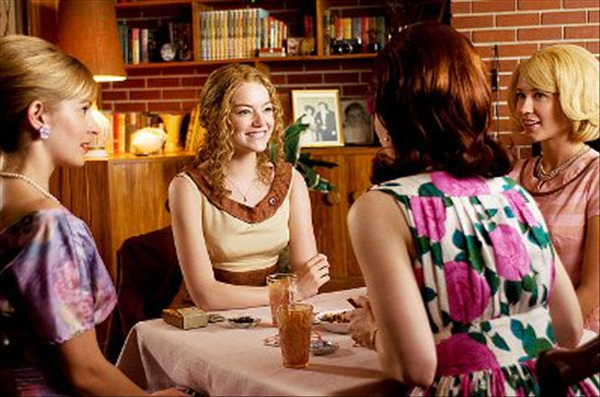 And she said, ‘What are you auditioning for?’ And I said, ‘The Help.’ And she had just read it with her book group. And she said, ‘What character?’ And I said, ‘Hilly.’ And without missing a beat she said, ‘Oh you’ll be perfect.’"
Most recently paired on film with Robert Duvall in Get Low, Spacek joins many of the other cast members in saying they “just wanted to be a part of it” once they’d read the story of The Help and saw the important themes of equality, reconciliation and acceptance therein. 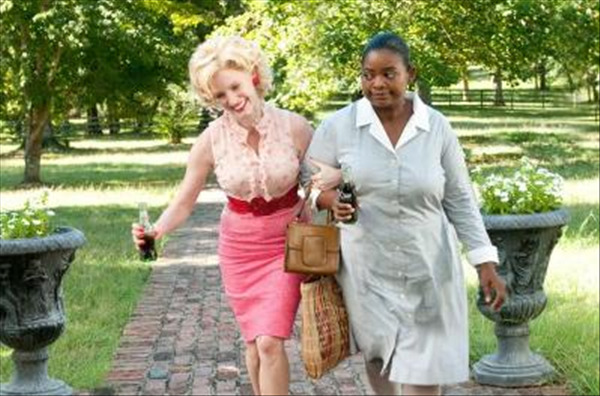 At the end of The Help, Aibileen begins to see her situation in a different way as her circumstances unexpectedly change and leave the door wide open to the unknown. But for this longtime housekeeper, it’s the beginning of a new life chapter and hope for new opportunities—and equality—that is sure to come. It’s an intriguing final thought. But one that, interestingly enough, can’t be found in the book. “The end of the film is less about learning to love your enemies and more about finding the inner strength to find your freedom,” he says. “At the end of this film, we have an African-American woman who’s essentially worked as a maid all of her life realizing that she not only may have a [new] career, but she’s got a sense of freedom. And there’s a sense of empowerment that to me is so strong and so important, even nowadays. 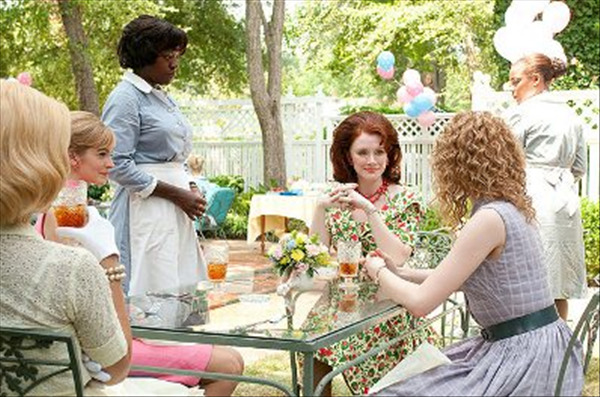 From a book manuscript that once received over sixty rejections from literary agents to a highly-anticipated major motion picture, The Help has certainly come a long way in just three short years. Some might say it’s something that could happen only in Hollywood. But others of us know, it’s just what happens when friends help friends get things—and movies—done. 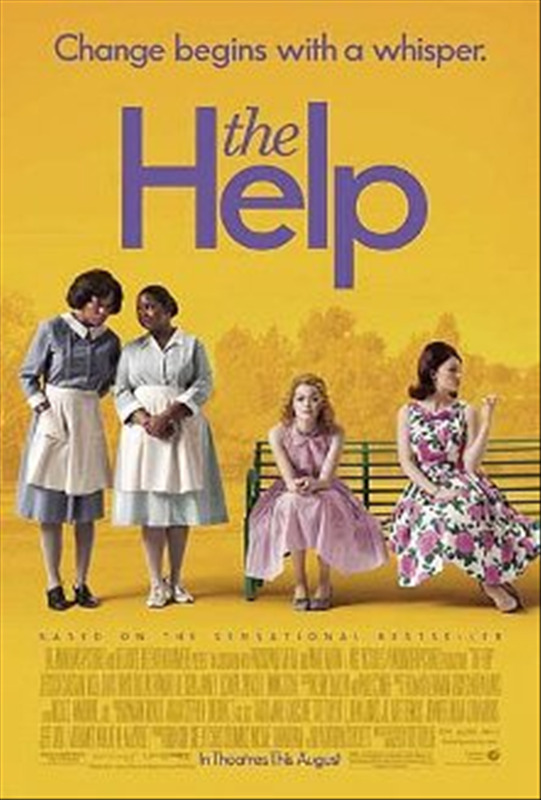 Rated PG-13 for thematic material and language, and starring Jessica Chastain, Viola Davis, Bryce Dallas Howard, Allison Janney, Octavia Spencer and Emma Stone, DreamWorks Pictures’ The Help opens wide in theaters on Wednesday, August 10, 2011. Click here for more information about The Help and here for a downloadable Bible study guide. Photos © DreamWorks Pictures.